I love perfume, and despite having a few fragrance loves I haven’t quite managed to settle on a single signature scent. 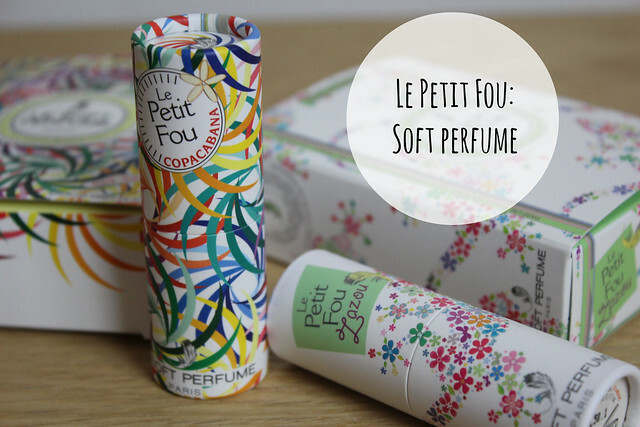 I’m more of a match the perfume to the mood sort of girl so love it when something like Le Petit Fou Soft Perfume comes along – small, portable fragrances that have the cutest packaging and something a bit different. These are just two of the scents from the range – and they’re basically like little NARS multiple style twist-up sticks with a fragrance solid that you can dab on to pulse points to give your skin the scent. Plus a bit of a skincare boost at the same time (although I wouldn’t take that to mean slather these all over your face or anything). First up, the rainbow coloured ‘Copacabana’ – it contains top notes of pink peppercorn, petit grain and begamot, heart and base notes of jasmine, violet and orange blossom. I adore anything with a bit of a peppery kick (food or fragrance) plus the orange blossom and this really feels like a wonderful end of Summer scent. 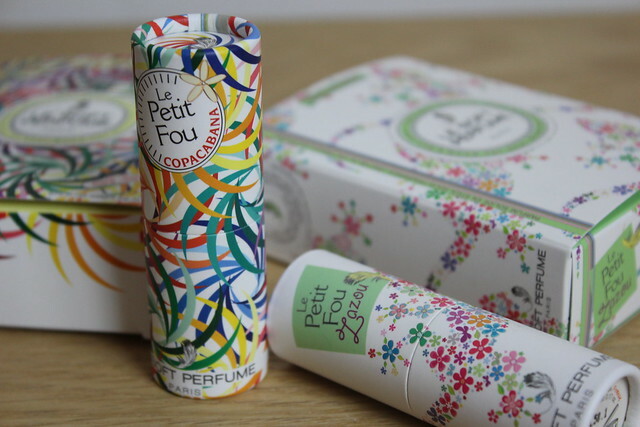 Then there’s the wonderfully names ‘Zazou’, the floral packaging – this is the fresher feeling of the two with lemon, cypress, grapefruit and neroli. It’s a light, somewhat powdery feeling scent with a proper pop of citrus to it. This is one to apply if you’re feeling a bit sleepy in the morning (or whenever) as it really gives a bit of a wake up call. If I was going to label these, I would call Zazou the daytime and Copacabana the nighttime scent – packaging wise, they’re adorable. And my inner five year old who adores all things rainbow coloured was instantly drawn to the packaging of the Copacabana one! 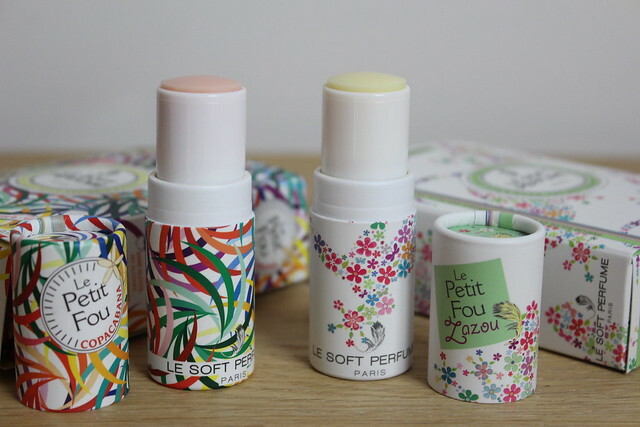 I think these are really fun fragrances that are small and portable (but they are cardboard tubes, so be wary of them looking a bit unloved if you throw them in your handbag and go) and a great way to have a longer lasting scent as I find solid perfume really clings to the skin more than spray on. There are 10 variations available on the Cult Beauty website – which I have just spent more time than is healthy browsing.I love the sound of the Emballe Moi version (a grey tube with little feather print all over with notes of raspberry rose, almond and more pink peppercorn) but there really is something in there for all tastes and at only £19 they’re really reasonable. Which one tickles your fancy?! ‘Zazou’ sounds good! I recently read an article on all of these perfumes and I couldn’t pick a favourite. I’ll have to try (some of) them soon. Definitely Zazou! I love anything citrusy! Adore the packaging!! So fancy!